We know that ‘payroll support’ can often sound like an oxymoron. That’s why we work hard to support you through your implementation, and then continually once you’re up and running. We start with a simple promise: When you call, you talk to a real person. Most importantly, we strive to set ourselves apart by having a support system that actually helps you, instead of simply putting you into a queue to talk with a stranger every time. HR and payroll support services shouldn't be a transaction. That's why we act as an extension of your own team, building personal relationships with customers and offering a customized “boutique experience” that supports your business and helps solve your unique problems. 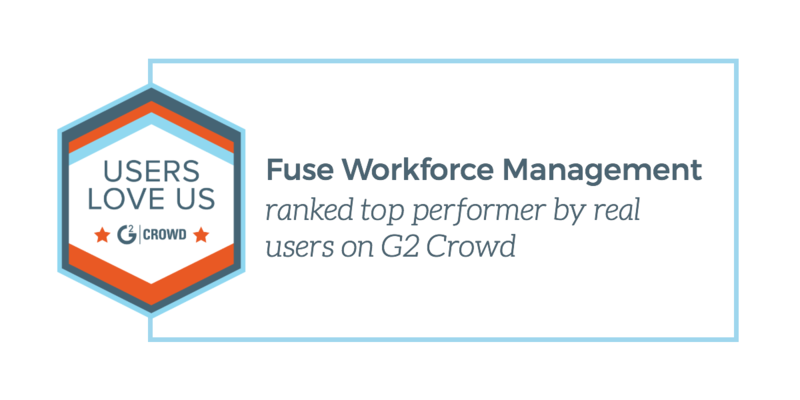 With Fuse Workforce Management, you’ll get incredible customer service, with real people, real contact, and real attention to your needs. Hear it straight from our customers. "What I like best about Fuse honestly is the exceptional customer service I receive every time I call. The software is very powerful and as a new user I had many questions. I never felt uncomfortable calling for help. I have learned so much from these interactions and I actually enjoy doing the company payroll. I know that no matter what issue may arise, someone at Fuse will be there to assist me and guide me." "If I had to choose what I like best about Fuse, I would say their customer service team - they are outstanding! Everyone is extremely knowledgeable, professional, friendly and polite. They can usually take care of your questions/issues immediately, but if they are unsure, they find the correct solution and get back to you as soon as possible."